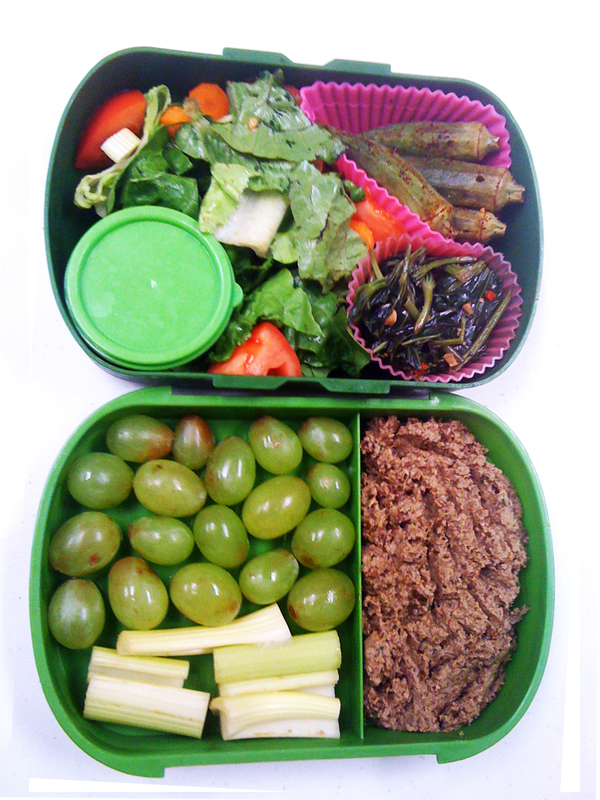 This bento uses a lot of the vegetables from the CSA box I picked up. Baba ganoush made with the eggplant, spicy sweet potato greens, and grilled okra. Plus grapes, some salad with Cesar dressing, and celery to dip in the baba ganoush. 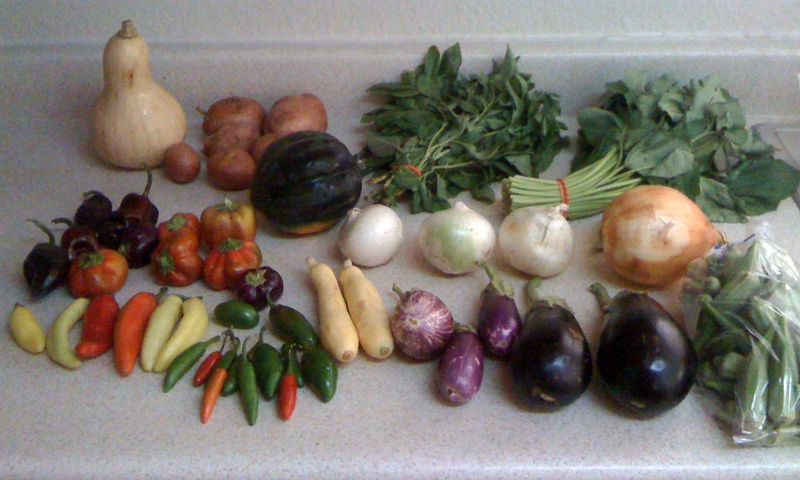 The last CSA box I picked up from Johnson’s Backyard Garden. It’s the last one I was scheduled for so I’m going to wait until we get back from our Las Vegas trip in a couple weeks to pick up my next one. There are so many veggies I don’t want to have them go bad while we’re away! This is such a yummy and filling salad! 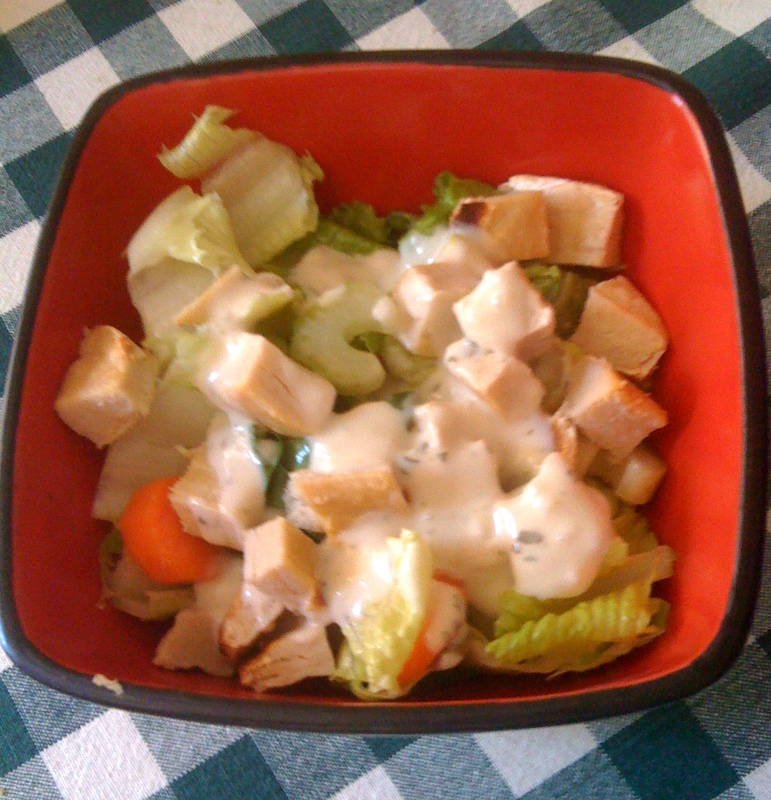 Romaine lettuce, carrot, celery, a Quorn Turk’y patty cooked and cut into cubes, and Annie’s Buttermilk Dressing. I’ve been really into salads lately. I found out that romaine lettuce is the best! 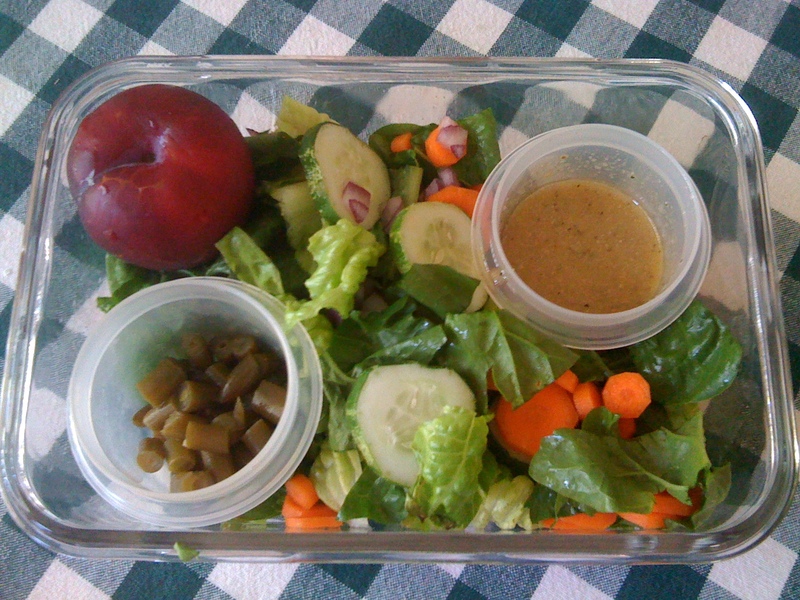 Salad: Romaine lettuce, carrot, red onion, cucumber. Spicy green bean pieces and Cesar dressing, finished off with a plum. I’ve had the spicy green beans forever and I don’t know why I never tried them in salad before, they really add a nice bite to an otherwise plain salad. 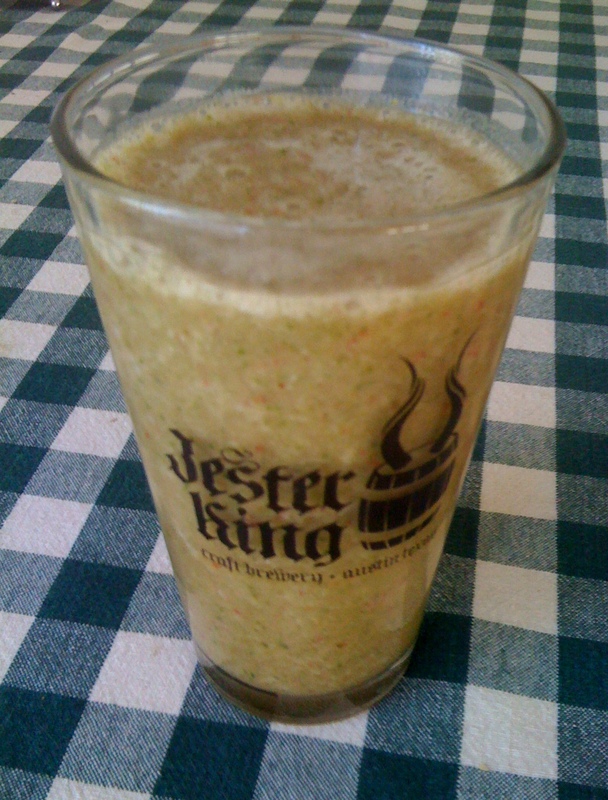 Spinach, frozen banana, frozen strawberries and water! 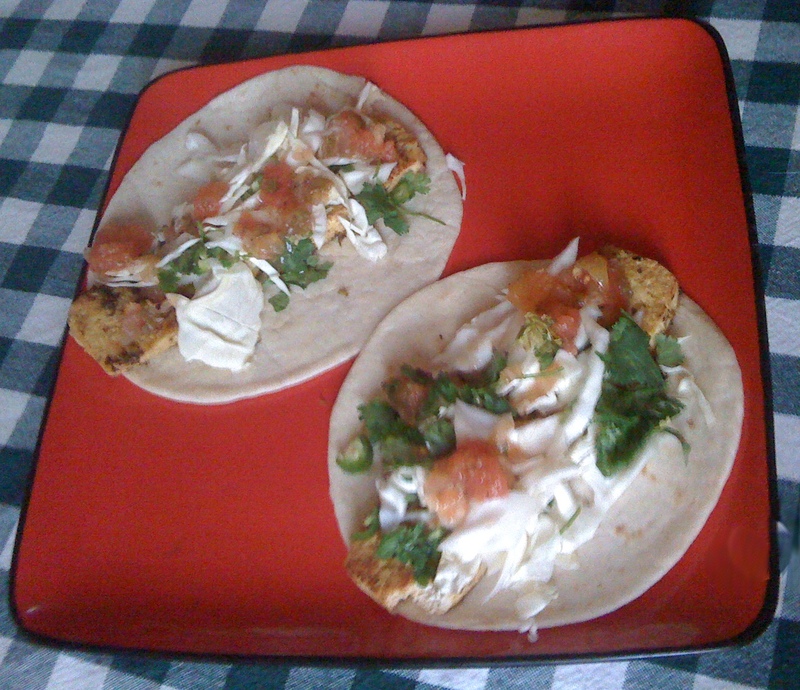 I love the tanginess of the lemon and cilantro in these tofu “fish” tacos. Mix olive oil, lime juice, chili powder, jalapeno and cilantro. Marinate tofu in this mixture at least 15 minutes up to 4 hours (the longer it marinates the more flavor it has). Preheat grill to medium-high heat and place foil on top. 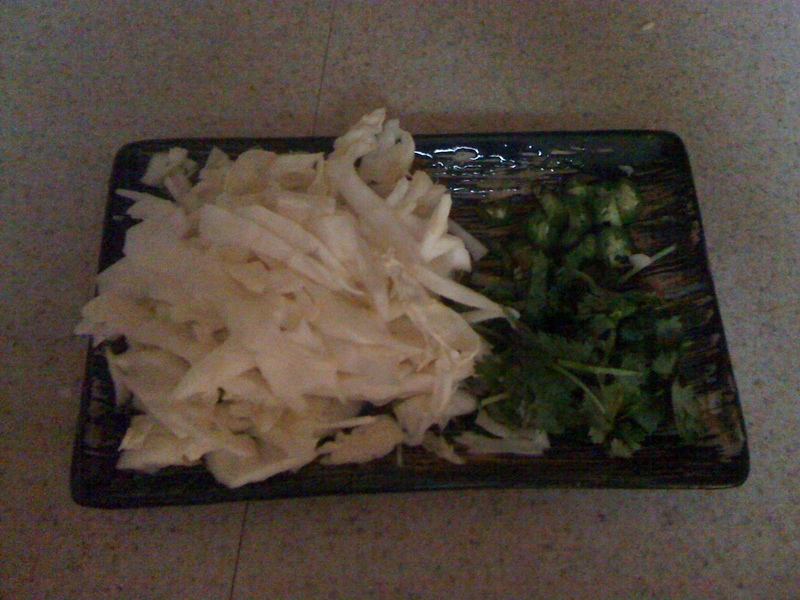 Place tofu on foil and cook for 20 minutes or until it is lightly browned. Place the tortillas on the grill and grill for 20 seconds. Use 2 corn tortillas per taco. Add tofu to tortilla and use any or all garnishes. 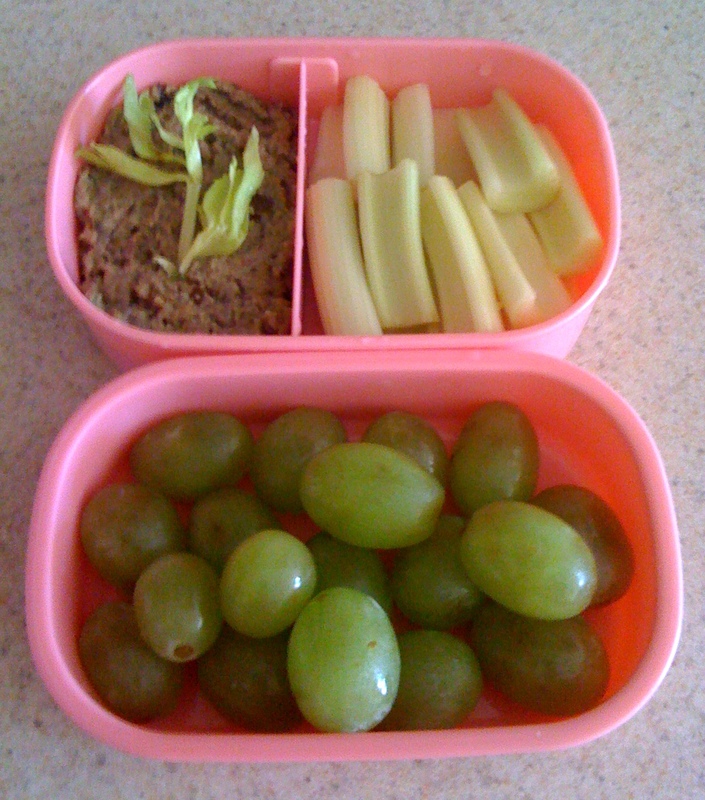 Grapes, celery and homemade baba ganoush! This was a great snack bento.